Just three days before Christmas, Justin Kitashima received one of the biggest phone calls of his life. In the midst of preparing for a full day of holiday festivities, he got a call from the National Lacrosse League. In just his second season in the NLL, this was finally his chance to move from shot clock operator to the floor to call his first professional game. 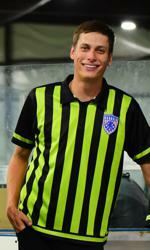 It was what he had been training for since he first began officiating the box game with the US Box Lacrosse Association (USBOXLA) just six years earlier. He had years of hard work and some inclement weather to thank for his memorable game. On Dec. 22, history was made at the Pepsi Center in Denver. But, it wasn’t because of a big goal or a timely save executed by a player. Instead, the milestone was set by one of the men in stripes. That Saturday night, the 25-year-old Kitashima made his pro debut, and in doing so, became the first-ever USBOXLA-trained referee to work in a National Lacrosse League game. Kitashima joined an officiating crew that included veterans Ian Garrison and Dave Pratt. In front of 13,407 fans, the San Diego Seals surprised the Colorado Mammoth to earn the franchise’s first win, 17-12. “It was a surreal moment, walking up the tunnel right before they are going to make their pregame announcements and the fire is going off,” he said. “It just felt way different than all the other times I was coming out. I (usually) don’t have my helmet in my hand, and I have a clipboard. (That night) my whistle was in my pocket, and I had my helmet ready to go. Kitashima prepared himself for just such an opportunity since becoming a certified official. 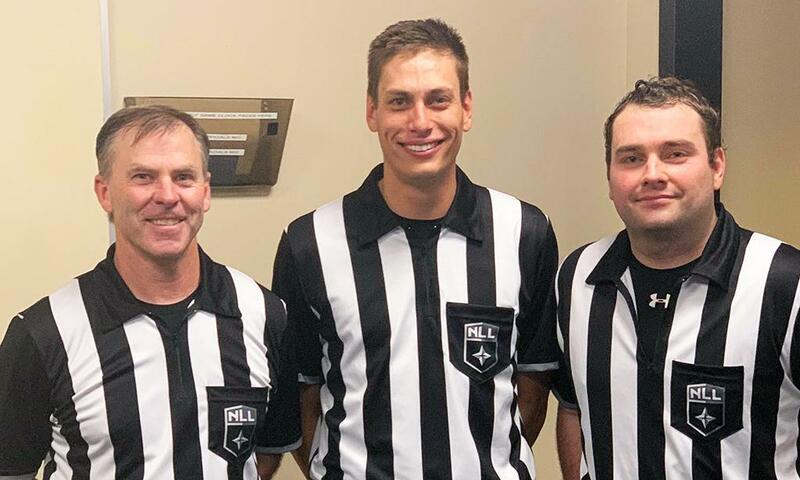 It has been a quick ascension up the lacrosse officiating ladder for a guy who began calling games as a way to make extra money when not refereeing basketball games. 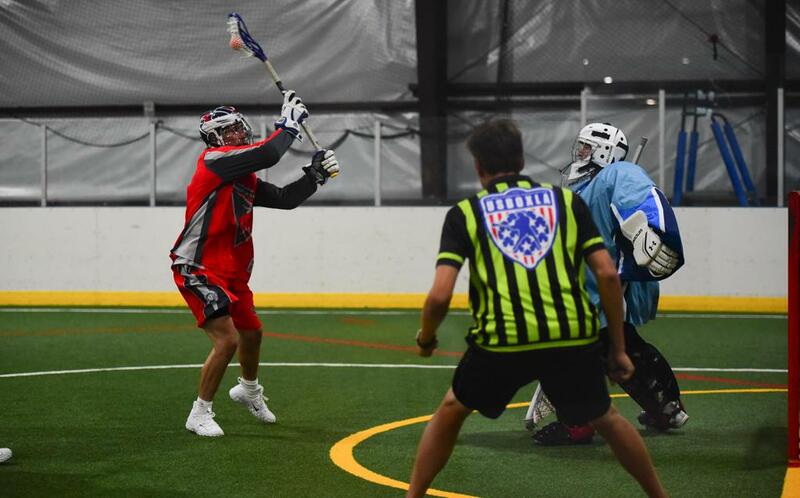 While pursuing his communications degree at the University of Colorado Denver, he discovered box lacrosse and joined the US Box Lacrosse Association, which is the country’s largest and most recognized box-specific governing body operating today. Little did he know then, but he was starting his career as a full-time professional referee. Like every USBOXLA official, Kitashima got his start by taking the online referee training program designed by former collegiate/Canadian box player and veteran referee Adam Gardner, and USBOXLA co-founders Matt Brown and Shaydon Santos. Gardner, who serves as the Director of Officiating, was more than happy to offer his thoughts on his star pupil. Kitashima credits his training and affiliation with the organization for helping him experience such rapid development over the last five years. “As the season progressed everyone got better; the intensity was higher, the skill level higher, the college guys loved this game and were playing to win the Morrow Cup. But by the end of the season, I thought the reffing let us down” said Matt Brown. Justin travels the country now working for sanctioned USBOXLA tournaments, ensuring that player safety is the top priority at USBOXLA sanctioned events. “We are assigned with local guys who in most cases are new to the game to help them along and build local their markets by ensuring safe, structured and unified gameplay. His resume includes two seasons in the CBLL and two years at the USBOXLA Nationals. It was at the USBOXLA Nationals, which is the country’s biggest, best and most competitive youth box lacrosse tournament, where Kitashima got his big break. He has immersed himself in the sport, working as a full-time lacrosse official and as a local assigner. Kitashima books as many games as he can, from third and fourth graders all the way to the NCBS. “It’s just getting the reps and seeing the play, learning the game and just really understanding it which has helped me be ready for the position that I was thrown into,” he said. That position he was referring to was in Denver on Dec. 22, when he made his NLL debut in his hometown. In an NLL game, especially one that features 29 goals, things can move at breakneck speed. But, Kitashima remembers when he had a chance to take a breath and enjoy the moment. “USBOXLA will no doubt produce American box players who will be NLL stars. We will produce American coaches from local youth leagues that will man NLL benches. So it was great to see Justin on the floor reffing in his first NLL game. It was a great moment for not only him but our grassroots organization,” said Brown.